The hybrid approach to cloud computing is preferred by many businesses, since it allows them to benefit from the scalability and power of the public cloud while still getting the security benefits and control of a private cloud. Of course, the actual process of implementing a hybrid cloud solution can be somewhat difficult, particularly if you do not have the necessary background information to make the right decisions. To help you through, here is an overview of how best to go about implementing a hybrid cloud solution without too much technical jargon so that clarity is not compromised. 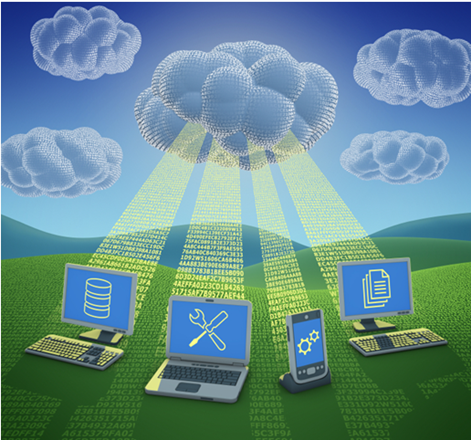 Should You Adopt a Hybrid Cloud Solution? The first question to answer is of course whether or not your business should actually adopt a hybrid cloud solution. A typical hybrid cloud use allows you to host mission-critical apps and data on a private cloud set-up, while the public cloud is used for less vital services. This allows for tighter security and also means you will not be stuck when you need extra computational capacity for short bursts of activity. A hybrid cloud solution is also useful if you want to run services that can be accessed externally while still retaining control over those aforementioned critical apps. The public cloud can face outwards, enabling remote agents and other third parties some access without compromising internal systems. Ultimately, if you are looking for a more flexible approach to IT that does not require any restrictive compromises, a hybrid cloud solution can be a valuable asset. While a solely private cloud can be completely managed within a business, devoid of outside influence, you will clearly have to interact with third-party providers when seeking a hybrid solution due to the involvement of public cloud services. This is not a one-size-fits-all type of technology, so you should not expect your company to have to squeeze into a predetermined package. Make sure you use a provider that is going to work with you to achieve your goals; one that is also able to provide you with all the information and support you need to ensure total satisfaction. The actual shape that your hybrid cloud solution takes is, as previously asserted, entirely down to your business. You want to make sure that it meets your needs and you will also be required to work out how much of the technical burden can be shouldered internally. If you do not have the necessary expertise amongst your in-house talent pool, you might consider hiring permanent members of staff to handle the cloud or to instead outsource this responsibility to your provider. The non-standardized nature of the hybrid approach does complicate matters, which is why it is inadvisable to rush into making a decision on the architecture without consulting experts. Before you finalize the migration of your systems to a hybrid set-up, you will want to perform checks to ensure that you are ready to take the plunge. Security should be a top priority, because you do not want to leave any back doors open that could be exploited at a later date. If you are synchronizing your private cloud with a public service, you also want to protect critical apps and data without stifling access or encountering compatibility issues, so taking care at the point of implementation will help to streamline everything in the long term. However you approach the implementation of a hybrid cloud computing solution, make sure you are prepared for the responsibility this brings with it, as well as being aware of the benefits that can be derived from a platform of this kind. Daisy Group are a leading provider of cloud hosting solutions. Find out more on their website.